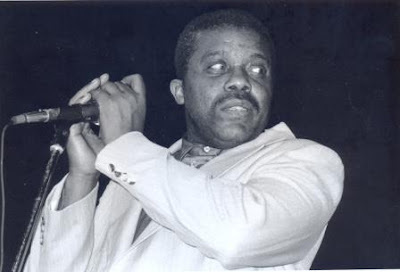 Samuel Joseph Myers (February 19, 1936 – July 17, 2006) was an American blues musician and songwriter. 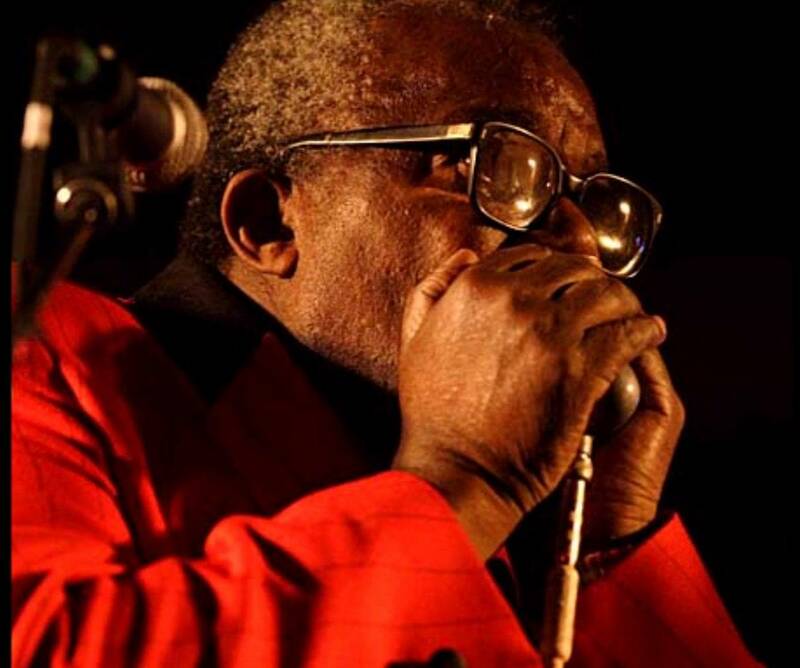 He was an accompanist on dozens of recordings by blues artists over five decades. 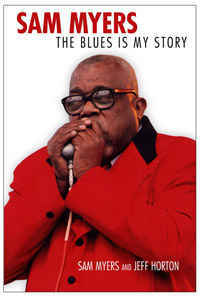 He began his career as a drummer for Elmore James but was most famous as a blues vocalist and blues harp player. 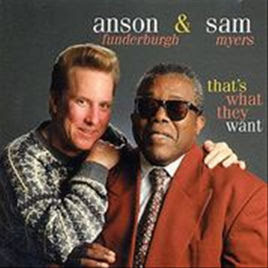 For nearly two decades he was the featured vocalist for Anson Funderburgh & the Rockets. Myers was born in Laurel, Mississippi. He acquired juvenile cataracts at age seven and was left legally blind for the rest of his life, despite corrective surgery. He could make out shapes and shadows, but could not read print at all; he was taught Braille. He acquired an interest in music while a schoolboy in Jackson, Mississippi, and became skilled enough at playing the trumpet and drums that he received a nondegree scholarship from the American Conservatory of Music (formerly the American Conservatory School of Music) in Chicago. Myers attended school by day and at night frequented the nightclubs of the South Side. There he met and was sitting in with Jimmy Rogers, Muddy Waters, Howling Wolf, Little Walter, Hound Dog Taylor, Robert Lockwood, Jr., and Elmore James. Myers played drums with Elmore James on a fairly steady basis from 1952 until James's death, in 1963, and is credited on many of James's historic recordings for Chess Records. 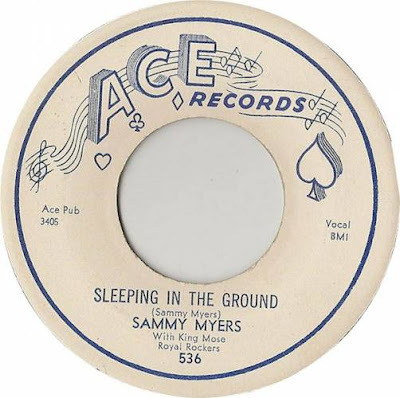 In 1956, Myers wrote and recorded what was to be his most famous single, "Sleeping in the Ground", a song that has been covered by Blind Faith, Eric Clapton, Robert Cray, and many other blues artists. From the early 1960s until 1986, Myers worked clubs in and around Jackson and across the South in the (formerly) racially segregated string of venues known as the Chitlin' circuit. He also toured the world with Sylvia Embry. From 1979 to 1982, Myers fronted the Mississippi Delta Blues Band and recorded for the TJ label out of Palo Alto, California. In 1986, Myers met Anson Funderburgh, from Plano, Texas, and joined his band, The Rockets. Myers toured all over the U.S. and the world with The Rockets, enjoying a partnership that endured until the time of his death. Myers and The Rockets collectively won nine W. C. Handy Awards, including three "Band of the Year" awards and the 2004 award for Best Traditional Album of the Year. In January 2000, Myers was inducted into the Farish Street Walk of Fame in Jackson, Mississippi, an honour he shares with Dorothy Moore and Sonny Boy Williamson II. In 2005, Myers was nominated for Traditional Blues Album of the Year for his record, Coming From The Old School. Myers was diagnosed with cancer in February 2005, but he toured as a solo artist, in Sweden, Norway and Denmark, with the Swedish band, Bloosblasters. 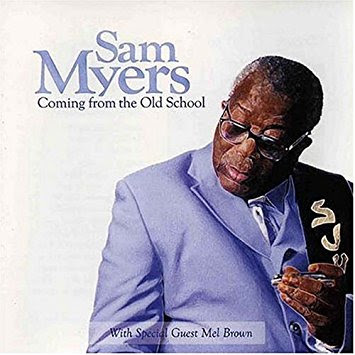 The following year, the University Press of Mississippi published Myers' autobiography titled Sam Myers: The Blues is My Story. Writer Jeff Horton, whose work has appeared in Blues Revue and Southwest Blues, chronicled Myers' history and delved into his memories of life on the road. In 2006, just months before Myers died, the Governor of Mississippi presented Myers with the Governor's Award for Excellence in the Arts, and was named state Blues Ambassador by the Mississippi Arts Commission. 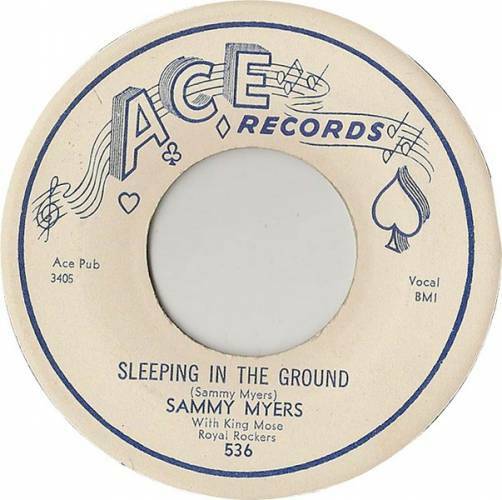 It's taken Sam Myers fully 50 years to make his first solo album. But he's no stranger to either stage or studio, having worked with Elmore James and Anson Funderburgh. For his debut he's assembled a top-notch band, led by guitarist Mel Brown, to work not so much behind him as with him. Brown is a standout as an accompanist, offering wonderful decoration to "I Got the Blues" and "Burning Fire." 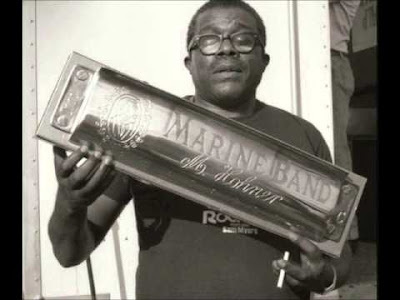 But understandably, it's Myers who's the star of the show, and his driving harmonica playing carries its own momentum, as on his version of Rice Miller's "Ninety Nine." But there's also a very pleasing grit to his singing, whether on the slow and deeply soulful"After Hours When the Joint Is Closed," or "Waitin' On Your Mama," which could have come directly from the Chicago school of blues. It might have taken him five decades to get to this, but from the music on the disc, not a single minute was wasted.